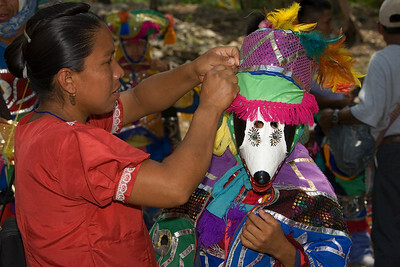 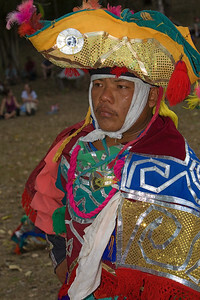 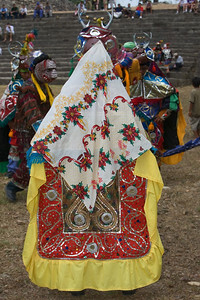 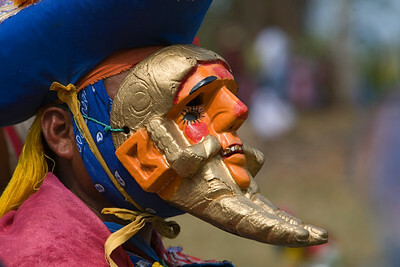 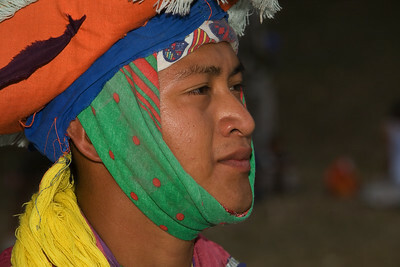 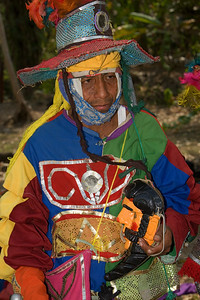 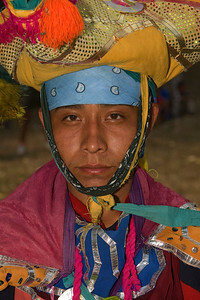 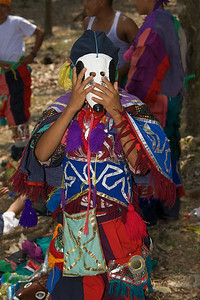 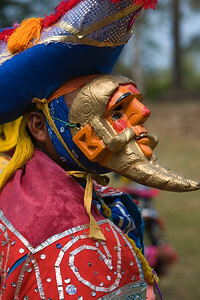 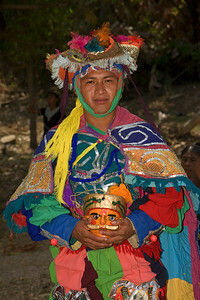 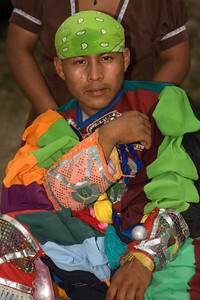 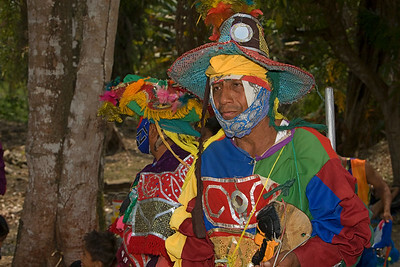 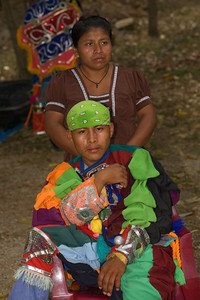 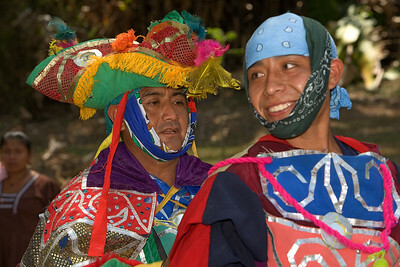 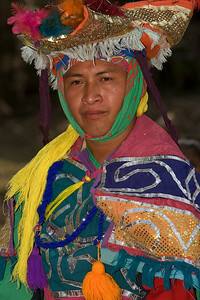 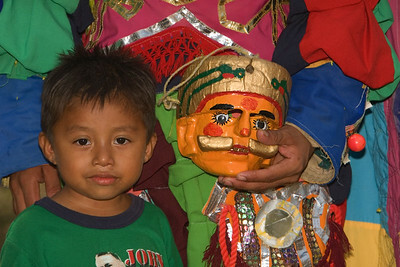 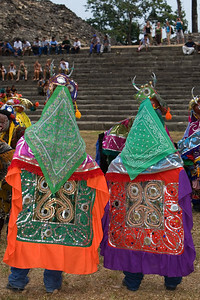 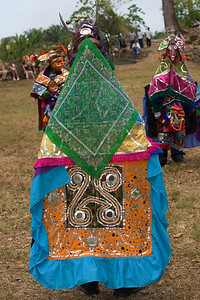 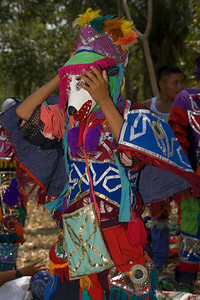 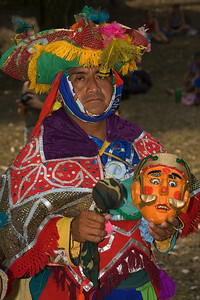 The elaborate costumes worn by the dancers of the Deer Dance - Lubaantun, Toledo, Belize. 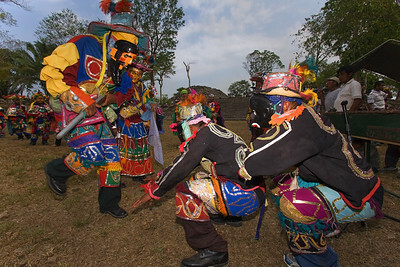 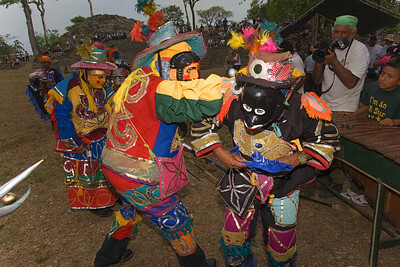 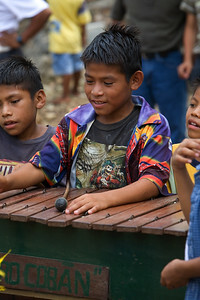 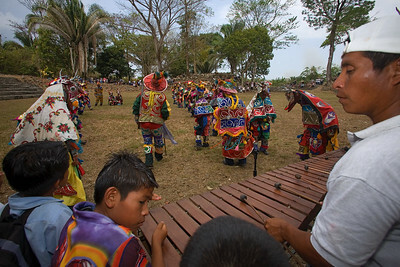 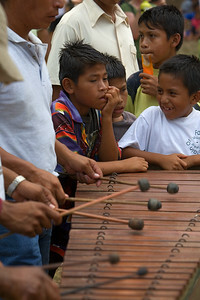 Deer Dance being performed in the main plaza at Lubaantun Archaeological Site in Toledo, Belize. 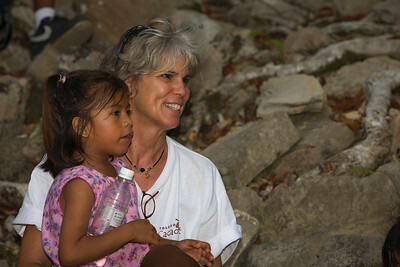 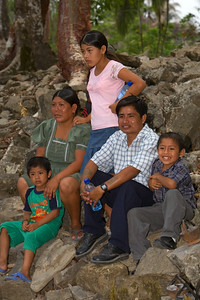 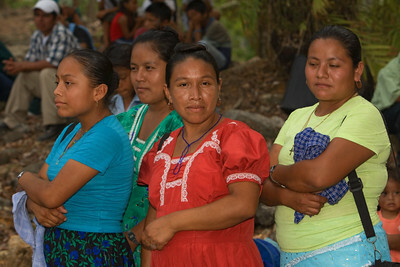 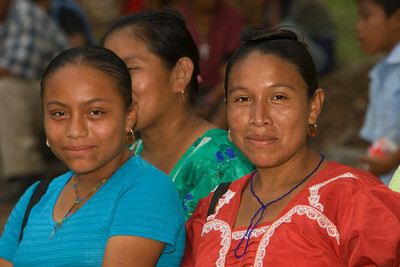 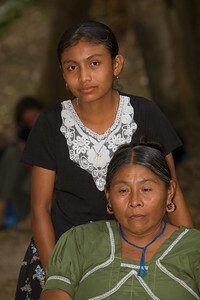 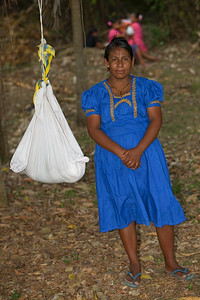 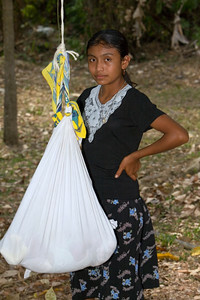 A Mayan girl baby sits and watches over a baby wrapped in a sheet - Lubaantun, Toledo, Belize. 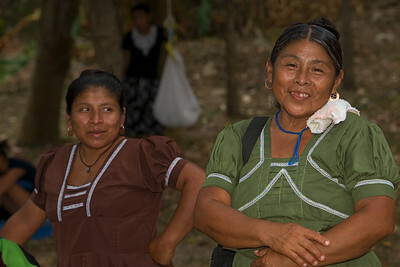 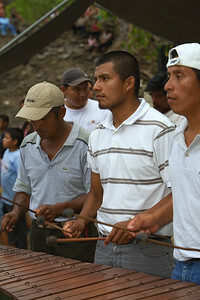 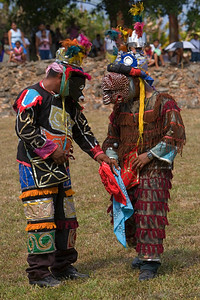 Mayan men getting dressed and ready to perform the Deer Dance in the main plaza at Lubaantun Archaeological Maya site in Toledo, Belize.